To donate to Jenny’s bail click the donate UNDER the thermometer on the left! Jenny Dean aka “Brightside Photo Bomber” has been charged with pointing the camera at herself 24/7. She currently covers the consumer stories on Brightside for 10 News WTSP. 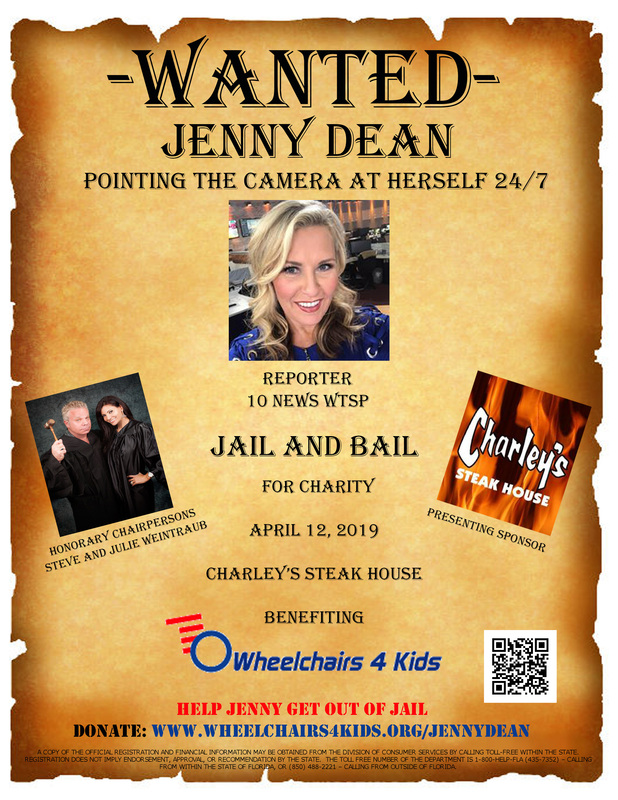 Jenny Dean is a Reporter with 10 News WTSP and has been part of Tampa Bay radio and television for 19 years. She has most recently been reporting on weekday mornings on 10 News Brightside. Please make a donation today to help Jenny get out of jail. Ask your friends to donate too. Who knows, maybe they can become an accomplice?! Every donation will make a difference in a special child’s life!